Due to its many potential benefits, including high electrical efficiency and low environmental emissions, solid oxide fuel cell (SOFC) technology is the subject of extensive research and development efforts by national laboratories, universities, and private industries. 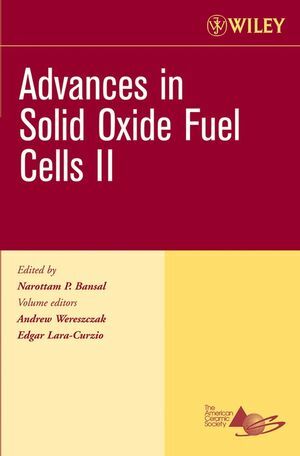 In these proceedings, international scientists and engineers present recent technical progress on materials-related aspects of fuel cells including SOFC component materials, materials processing, and cell/stack design, performance, and stability. Emerging trends in electrochemical materials, electrodics, interface engineering, long-term chemical interactions, and more are included. This book is compiled of papers presented at the Proceedings of the 30th International Conference on Advanced Ceramics and Composites, January 22-27, 2006, Cocoa Beach, Florida. Organized and sponsored by The American Ceramic Society and The American Ceramic Society's Engineering Ceramics Division in conjunction with the Nuclear and Environmental Technology Division.